McMillan, Dennis (Editor - contributions from Willeford, Pelecanos, Bruen, Crumley, Connelly and many others) Fine in oversize, glossy, color wraps. 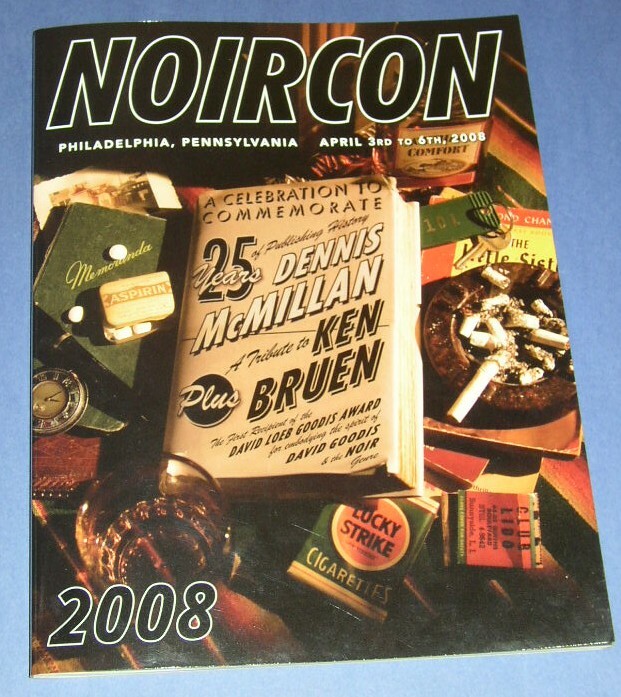 This is the program from the recent Noircon held in Philadelphia April 3 to 6. This is undoubtedly the most unique program ever issued for a conference. Extremely high quality production for this this type of "ephemera," e.g., paper is #70 off-white matte finish with Smythe-sewn signatures. The 136 page program, containing numerous B/W and color photos, was produced in a print run of 1000 copies. 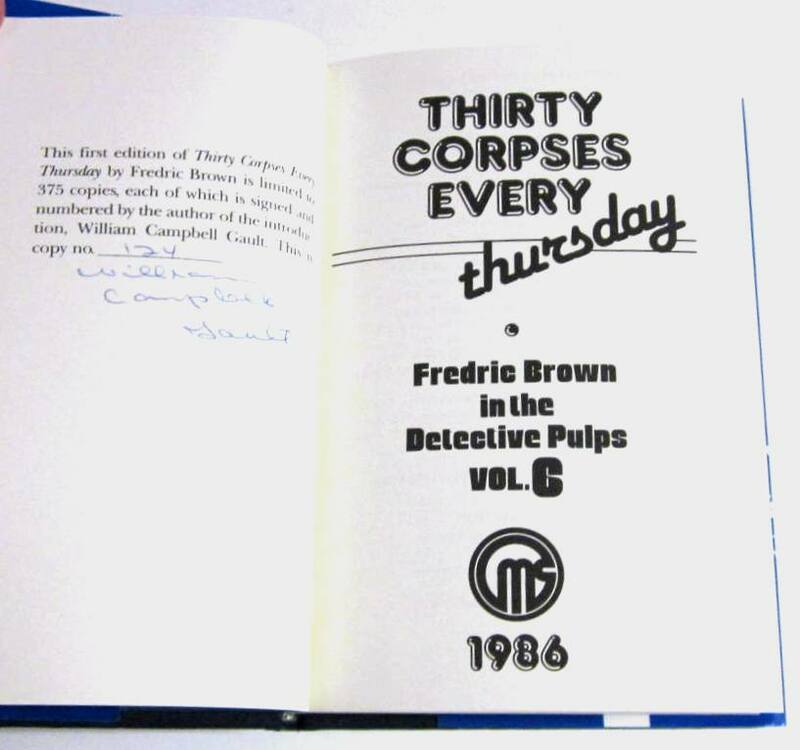 The document honors both author Ken Bruen, who was presented the first David Loeb Goodis Award, and Dennis McMillan, for surviving 25 years as a small press publisher of classic and collectible noir. The program includes the details of the meeting and a list of panelists who participated, with short bio blurbs for each. Other sections are: The Irish Bard of Noir - Appreciations of Ken Bruen by Fellow Writers and Fans; Fighting the Good Fight - A Tribute to Dennis McMillan and Dennis McMillan Publications; What is Noir? 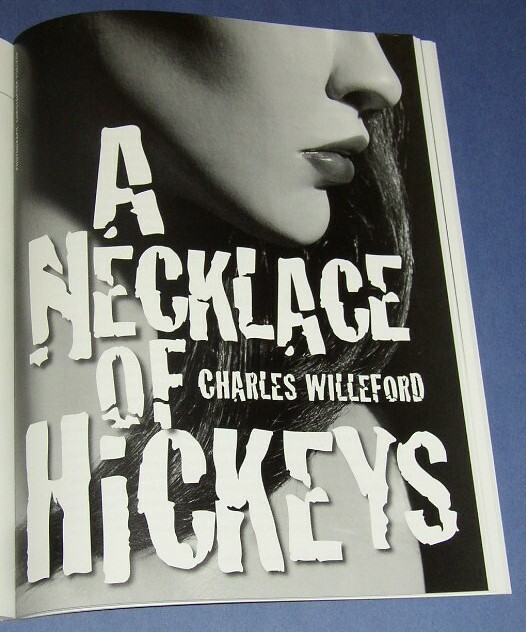 - A Variety of Opinions by a Diverse Budget of Practitioners of Same; A Necklace of Hickeys - two chapters from a never-published-before Willeford novel, although portions of it were modified and eventually appeared in New Hope for the Dead. (Willeford wrote this novel using an experimental approach wherein a fictitious version of Willeford addresses the reader directly and expounds on all sorts of related and extraneous topics, including a brief biography of Hoke Mosley. The author's ramblings alternate with chapters of the novel. 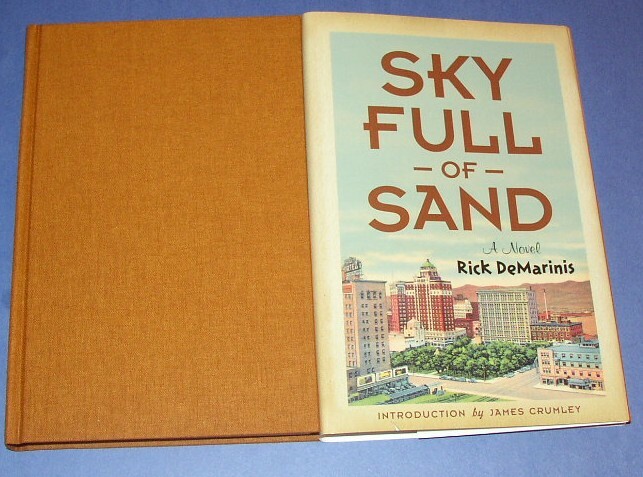 ); Dennis McMillan Publications - A Bibliography (compiled by Bob Maddox of Squid Ink Books - the bibliography is printed in full color with 40 photos of dust jackets from McMillan books). Contributors to this publication include: Kent Anderson, Charles Ardai (Richard Aleas), Ken Bruen, Reed Farrel Coleman, Michael Connelly, James Crumley, Rick DeMarinis, Ed Gorman, Kent Harrington, Don Herron, Michael Langnas, Richard Morgan, Jim Nisbet, George Pelecanos, Gary Phillips, Scott Phillips, Bill Pronzini, Sandra Ruttan, John Shirley, and Charles Willeford. The program was designed by Michael Kellner with photography by Christopher Voelker. Copies can be signed or inscribed by McMillan. This is a must have item for all McMillan fans and collectors! Dennis McMillan 1996 Anderson's alter ego, Hanson, returns from Nam after two brutal tours in Special Forces (Sympathy For the Devil) and joins the police force in Portland. The third novel in the planned Hanson trilogy may appear next fall. 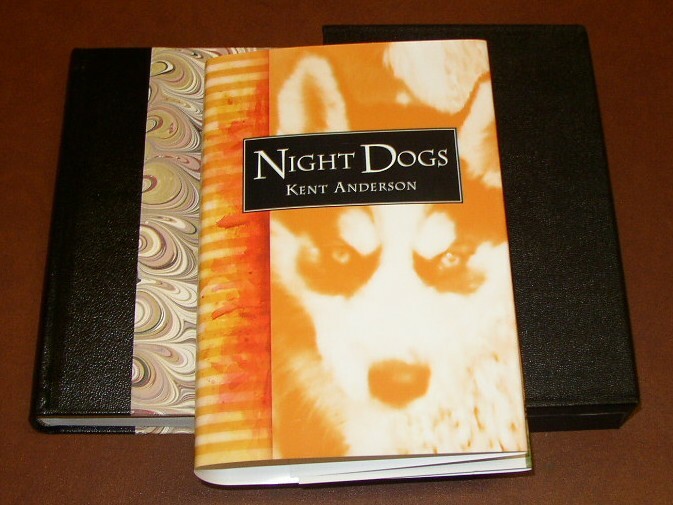 This copy of Night Dogs is one of the rare limited editions, Fine book bound in quarter morocco and marbled paper boards, in Fine jacket and slipcase. Signed by Kent Anderson and James Crumley, who wrote the Introduction, on the limitation page. This is number 52 of only 100 such copies. Numbered limited first edition, Fine minus book, jacket and slipcase with touch of shelf wear and very slight bump one corner of slipcase. Ray Bradbury wrote the introduction and Michael Connelly wrote an afterword. This copy number 95 of 200 such copies; bound in quarter morocco over marbled paper-covered boards and housed in slipcase. Signed by Bradbury and Connelly on the limitation page. D105 Brown, Fredric Pardon My Ghoulish Laughter Dennis McMillan 1986 Limited first edition of Brown stories from the pulp magazines. 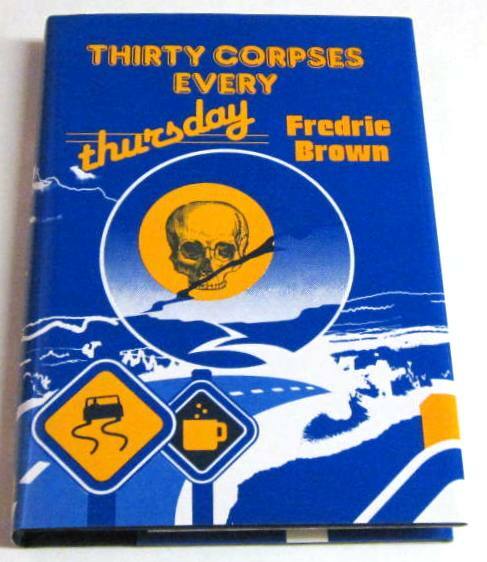 This is book number 7 in McMillan’s very collectible Fredric Brown series. This copy is number 157 of 400 such copies and is signed on the limitation page by Donald Westlake who wrote the Introduction. A Fine, unread book in a Fine jacket; no slipcase as issued. 1988 F/F unread copy #193 of 450 such copies. Signed by Francis M. Nevins, Jr., who will edit McMillan's anticipated Cornell Woolrich series. Dennis McMillan 1986 Number 10 in the Brown Detective pulp series stories. Numbered limited 390 of 400 copies. Fine minus unread book with a light 1 ½ inch scratch on front board, not through cloth, in a Fine jacket. 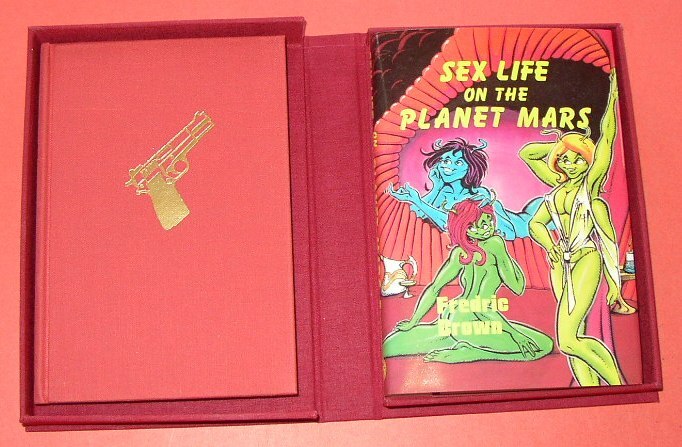 Quite scarce; this copy comes housed in a custom clamshell box in off-red cloth. Signed by Charles Willeford, who wrote the Introduction, on the limitation page and also by McMillan on the copyright page. First limited edition, Fine, tight and unread book in Near Fine jacket with the common fade of original orange lettering on spine to bright yellow, touch of wear to top of spine, with a vertical crease on the front flap. 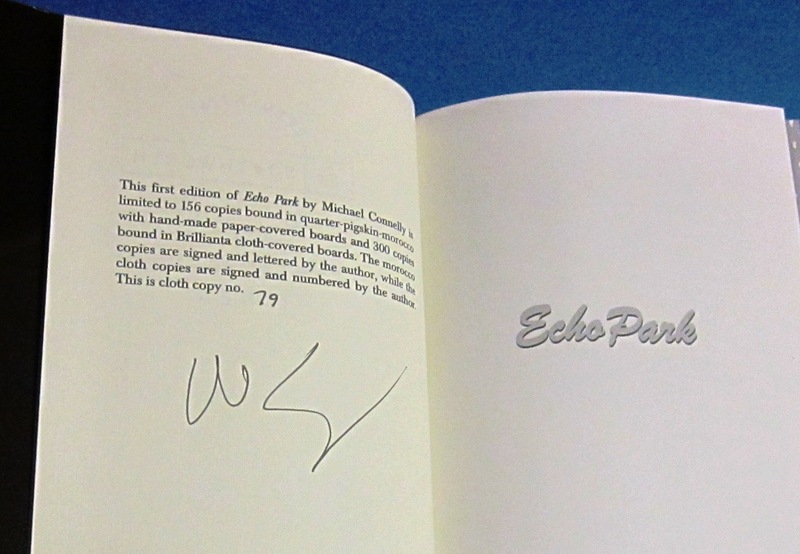 This is copy, # 124 of 375 signed by William Campbell Gault (Intro.) on the limitation page. Book number 6 in the Fredric Brown series by McMillan. Howard Incredible Ink Dennis McMillan 1997 Limited first edition signed by Browne on the limitation page; this is copy 322 of 350 such copies. 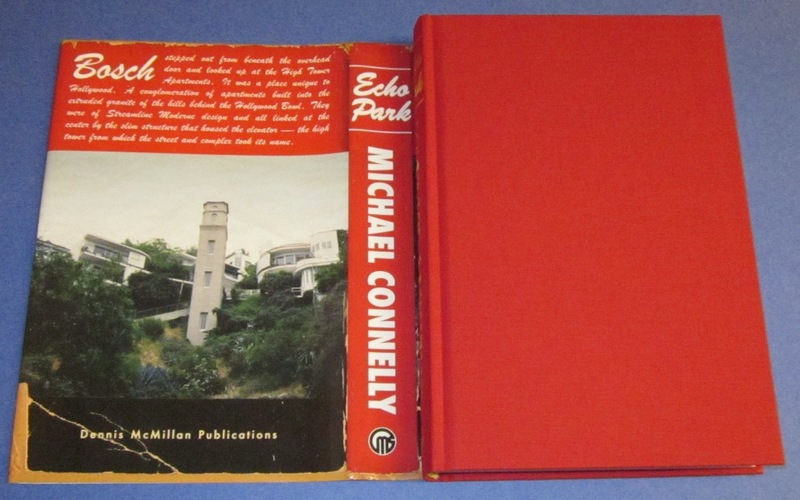 Fine book in Fine jacket, housed in Fine minus slipcase with slight shelf wear. A collection of Browne short stories from the pulp magazines. Includes a memoir by Browne with photographs. 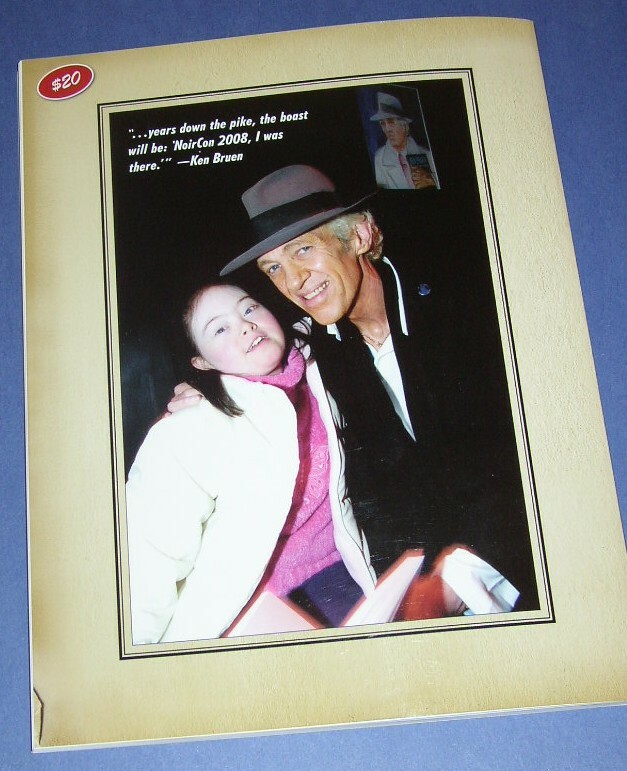 Dennis McMillan 1997 Lettered limited first edition (true 1st printing), Fine book, jacket and slipcase. This is copy Y of only 26 such copies, making this the smallest and most rare edition of any Connelly 1st printing. 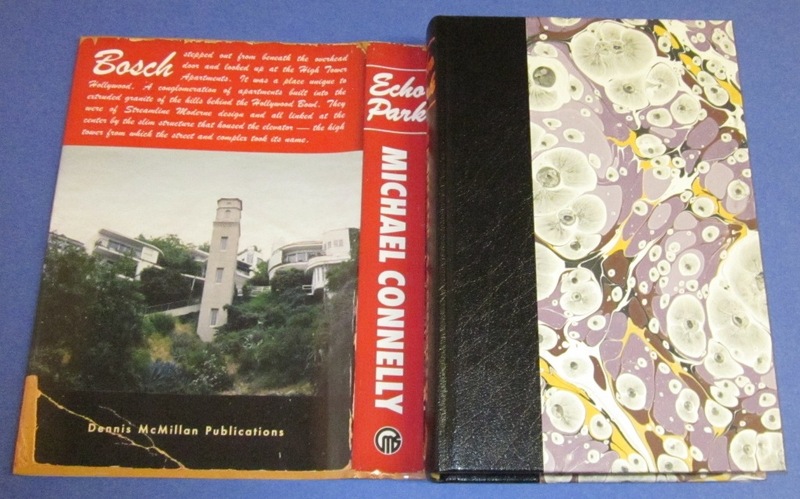 Bound in quarter morocco over marbled paper-covered boards and signed and lettered by Connelly on the limitation page. Lettered limited first edition (true 1st printing), Fine book, jacket, and slipcase. This is copy YY of 156 such copies. Bound in quarter pigskin morocco over hand-made paper covered boards and signed and lettered by Connelly on the limitation page. The second Bosch cold-case mystery. 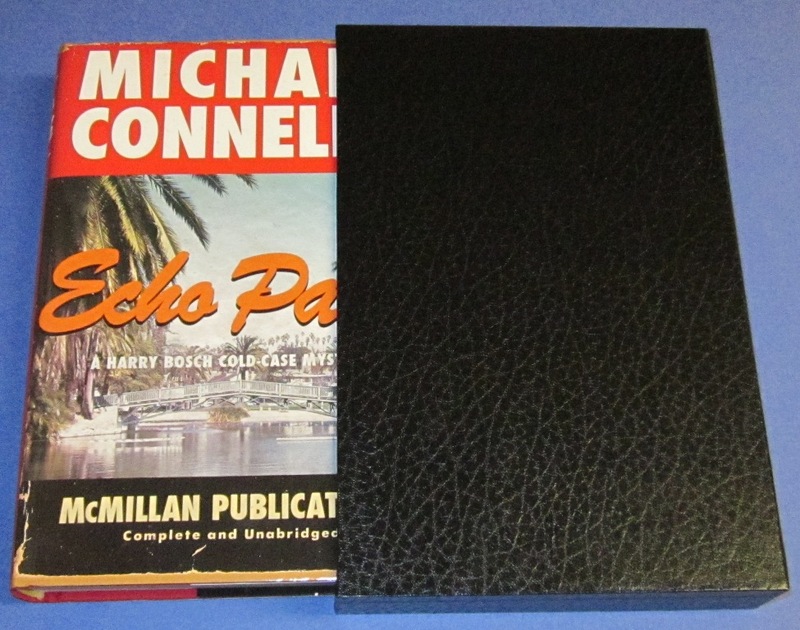 Another Harry Bosch "Cold-Case" mystery, the McMillan limiteds are the true first edition 1st printings of this title. 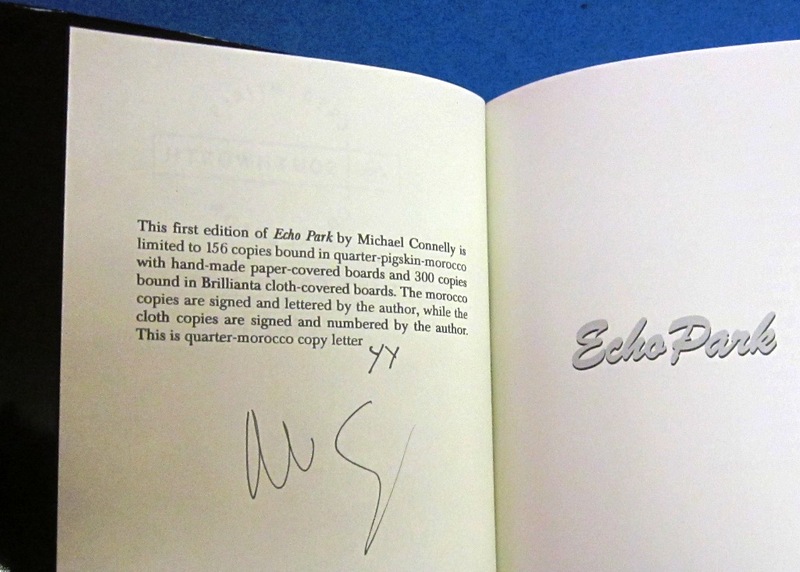 This copy is F/F in a F slipcase, signed by Connelly on the limitation page. 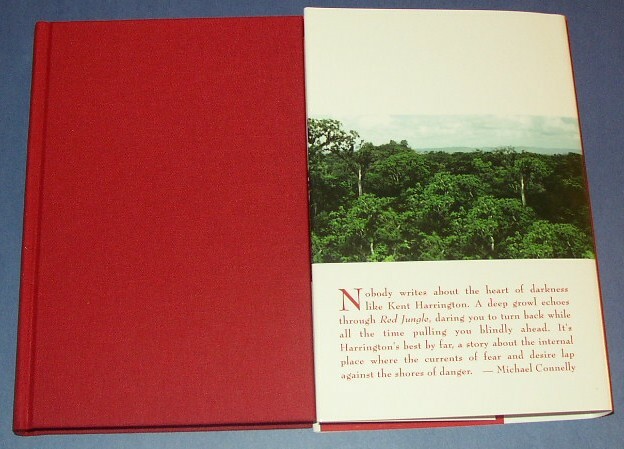 This is the numbered version, bound in red brillanta cloth. New and unread in publisher's shrink wrap. This is copy number 79 of 300 numbered copies. 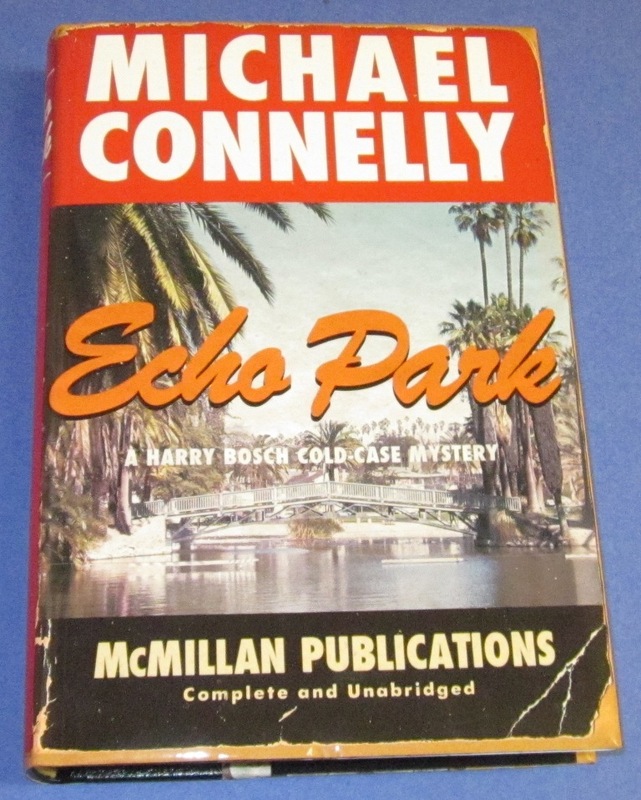 True 1st printing of Connelly's newest Bosch mystery published by Dennis McMillan. 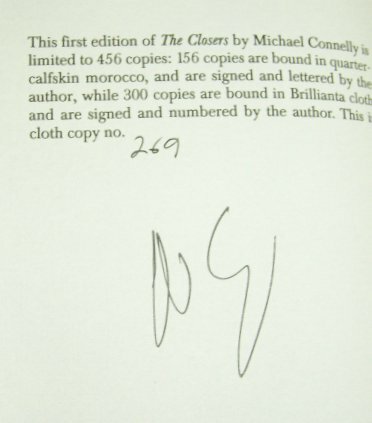 This is copy number 269 of 300 Brillanta cloth numbered copies, signed on the limitation page by Connelly. 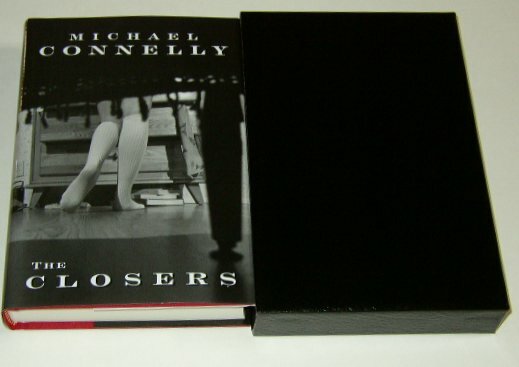 New book and dust jacket, housed in black slipcase. Another beautiful production by Dennis McMillan! 2006 First edition 1st printing of Dennis McMillan's "Blood Trail," F/F new book in publisher's shrink wrap housed in F slipcase. This is the lettered limited edition, signed by Cook on the limitation page, in quarter morocco binding with marbled boards, letter GG of 104 lettered copies. A grim tale of violence and betrayal stretching from the Vietnam War to Montana and then to Japan. Dennis compares this novel to Kent Anderson's "Night Dogs." Publisher's Weekly has given Cook's novel a starred review. 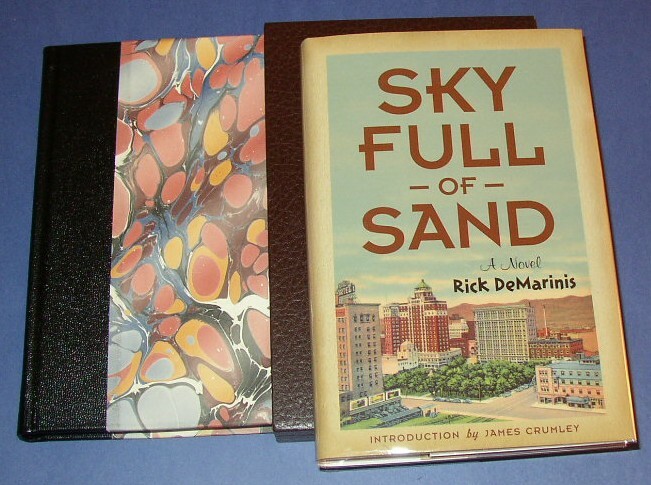 2003 First trade edition 1st printing F/F, signed by DeMarinis and James Crumley on the title page, new and unread copy. McMillan’s second title in row to receive a PW notable review, a boxed review this time. 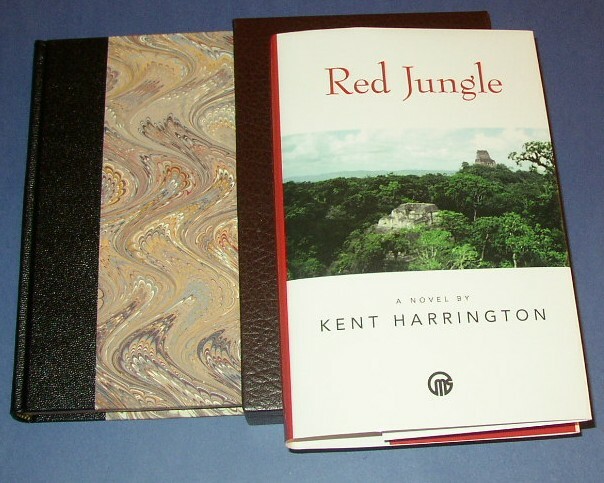 2004 First edition 1st printing of the McMillan trade edition of Red Jungle, F/F unread new copy signed by Harrington on title page, also signed by McMillan if desired. Book available for immediate shipping. 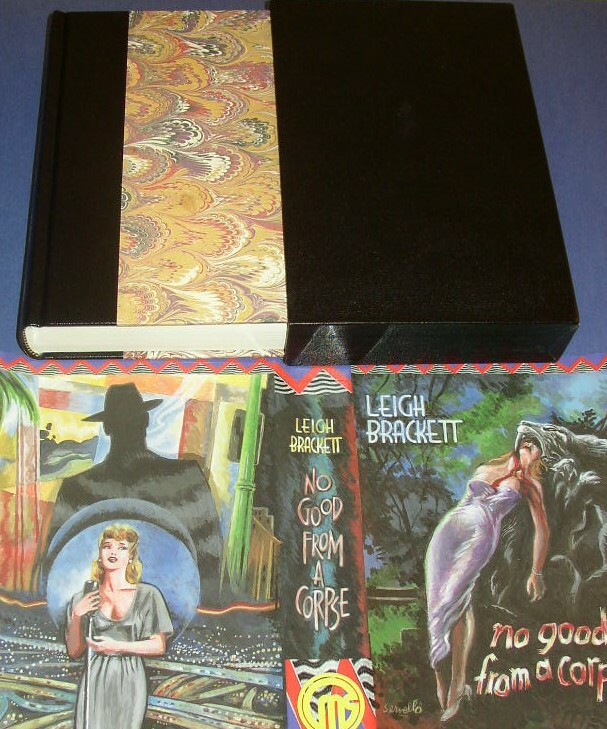 Limited 1st edition bound in quarter morocco and housed in slipcase F/F/F new copy, this is copy "NNN" signed by author on the limitation page. 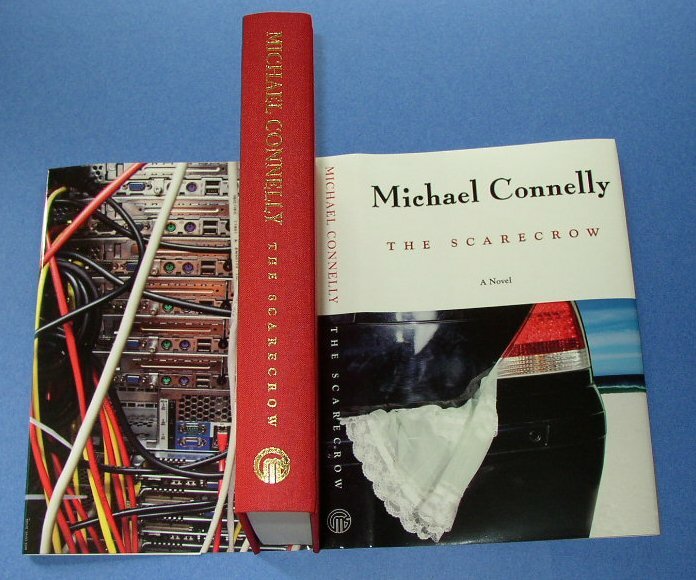 Fine book and Fine jacket in a Fine slipcase, an unread copy direct from the publisher still in shrink wraps. 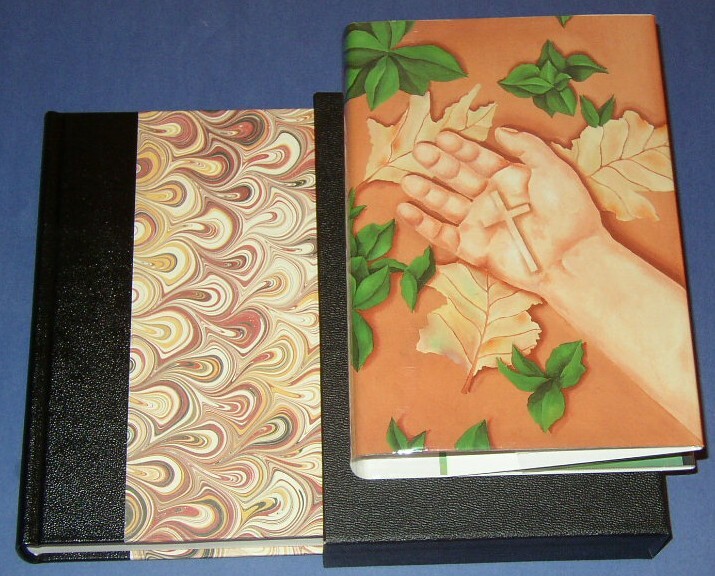 This is the lettered, limited first edition bound in quarter morocco and marbled boards. 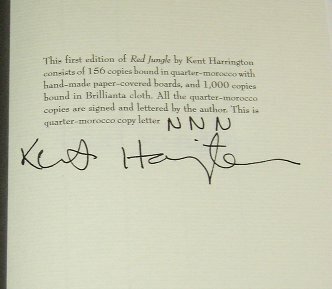 Signed by Harrington on the limitation page. This copy is lettered UUU and is one of 156 such copies. 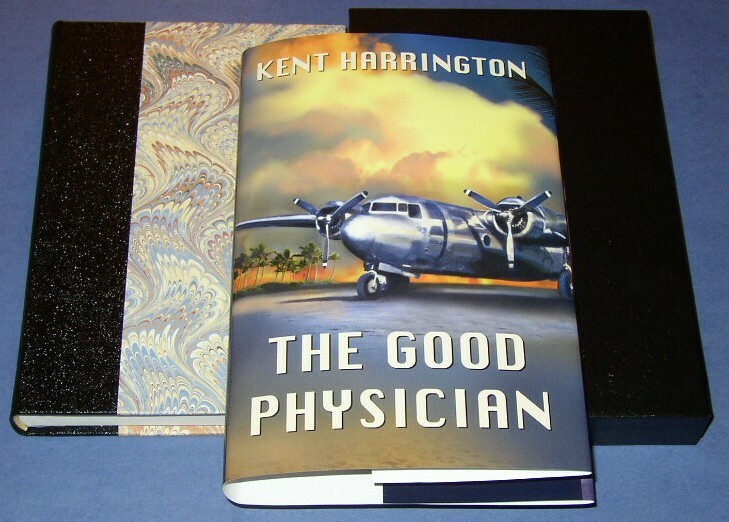 Intrigue in Mexico involving a Physician who was recruited by the CIA, Muslim terrorist cells, a beautiful green-eyed "tourist," and an old transport airplane. Starred reviews; a very good and thought-provoking read.